Dear GraSPP alumni, current students, faculty and staff members, I hope that this message finds you well. 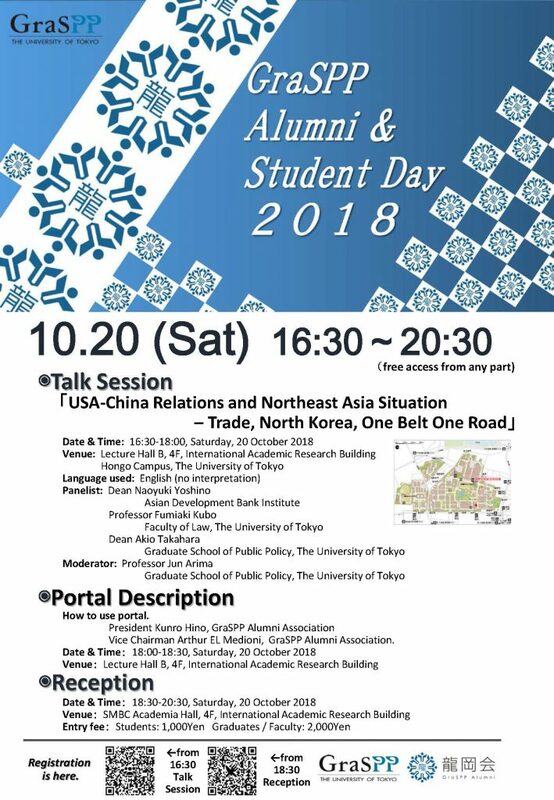 I am delighted to inform you that GraSPP will be co-hosting Alumni & Students Day 2018 together with GraSPP Alumni Association (“Tatsuoka-Kai”) on Saturday, October 20. GraSPP Alumni & Student Day will offer great opportunities for interaction and networking among alumni, students, current and former faculty / staff members. We look forward to seeing as many participants as possible. *Please click and see the PDF below for the program details.